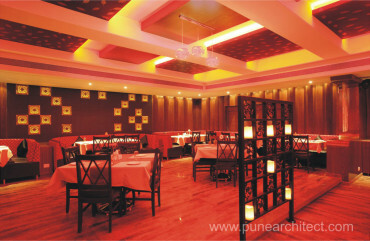 The interior and exterior design of a Restaurant is a major deciding factor in the success of a Restaurant. 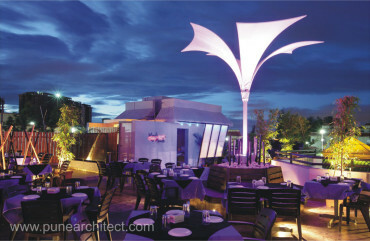 Wings the Design Studio specializes in the architectural and interior design requirements of Restaurants. Our design and development process involves understanding a client’s requirement, observing the surroundings, optimizing space utilization and maintaining budget constraints while ensuring that the design remains focused on the target audience. We listen to our clients – this helps us understand the client’s requirements and problems. And this contributes greatly towards making our design process easier, while building upon the mutual understanding and trust between us and the client. At Wings the Design Studio, we observe the surrounding areas where the project is to be implemented. We take into account factors like the lifestyle and general dining habits of the targeted customers. Our designs, therefore, very easily relate to the end customer, making us confident in suggesting the right theme to our clients. Many a times, we have observed that when design creations are not related to the actual purpose, or are simply ‘borrowed’ from somewhere else, it results in wasted funds and may even lead to the failure of a restaurant. At Wings the Design Studio, we remain conscious of the impact of the surrounding environment on the design of the restaurant. Hence, our designs take into account factors like the source of light, pattern of rain, heat and dust – which only serve to make our design themes long lasting and sustainable. Wings the Design Studio brings to the table a portfolio of multi-faceted design skills. We use the decided theme as a basis point for efficient space utilization. The theme also dictates several core aspects of the non-design elements such as services, circulation, kitchen operations, staff requirements, acoustics, air and water handling etc. Wings the Design Studio is also involved in the design and development of complete kitchen and peripheral services development. To ensure successful project implementation, we are also well networked with various consultants dealing with HVAC, Kitchen, Water and Landscape design, development and implementation. At Wings the Design Studio, we understand the budget constraints of our client. Our budget projections are always realistic and we strive to remain consistent with them during the development and implementation processes of the project. The secret behind the commercial success of the restaurants designed by Wings the Design Studio lies in our ability to convert a great idea into a practical design. 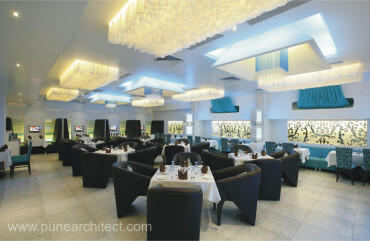 Contact Us to learn more about what we can do to enhance your Restaurant Architecture and Interior Design projects.